Our thanks to Jennifer Lemak and Miriam Sumner for their help with this post. Beginning with missionary Charlotte (Neely) Resper’s 1927 revival meeting at Union Missionary Baptist Church, Albany’s First Church of God in Christ is rooted in Mississippi and the Great Migration, when millions of African Americans left the rural South for Northern cities. Herself a recent transplant to Buffalo, Resper sowed seeds that would give rise to a new religiosity among the growing community of migrants who settled in Albany’s South End. A result of Resper’s revival was the establishment of a local prayer meeting. The meeting quickly grew into a congregation. Later that year, Pastor Littletown M. Walls began offering Sunday school classes and daylong services in a storefront church at 40 Franklin St. In 1928, the congregation moved a couple blocks to 23 Dongan Ave. and gained a new pastor. Elder Louis W. Parson was a Mississippi native who had recently moved from Shubuta to Albany with his wife, Frances. Under Parson’s leadership, Southern migrants flocked to the church. Indeed, many early members owed a debt of gratitude to the pastor for helping them escape the sharecropping system and consequent debt peonage. Elder Jack Johnson stands outside St. John’s COGIC with some of the families he helped bring to Albany. Courtesy Clarence Samuel Johnson. Throughout the 1930s, Elder Parson made numerous trips to Mississippi, often on his way to and from the annual COGIC convocation in Memphis, TN. Beginning with his own family, he would return from every trip with a carload of people looking to make new lives for themselves. In addition to transportation, he helped the newcomers find apartments and jobs. He even established a grocery store for the members of his congregation. Among those he liberated, Jack Johnson (who later founded St. John’s COGIC) would continue Parson’s work, even after his mentor’s death. Others—most famously Bishop William M. Wilborn—found their way to the church through Elder Parson’s door-to-door ministry. In April 2000, the pastor’s niece Orlean Rucker shared the story of Wilborn’s conversion with historian Jennifer Lemak, author of Southern Life, Northern City. At the time Wilborn, known as Willie, was living on Green Street and enjoyed his small vices. In fact, when Parson knocked on his door, Willie had just purchased a week’s supply of booze and tobacco. Although initially skeptical, Wilborn was quickly won over. He agreed to accompany Parson to church and, later that night, got rid of his stash. Baptism in Hudson River. Courtesy Wilborn Temple. The church grew quickly. 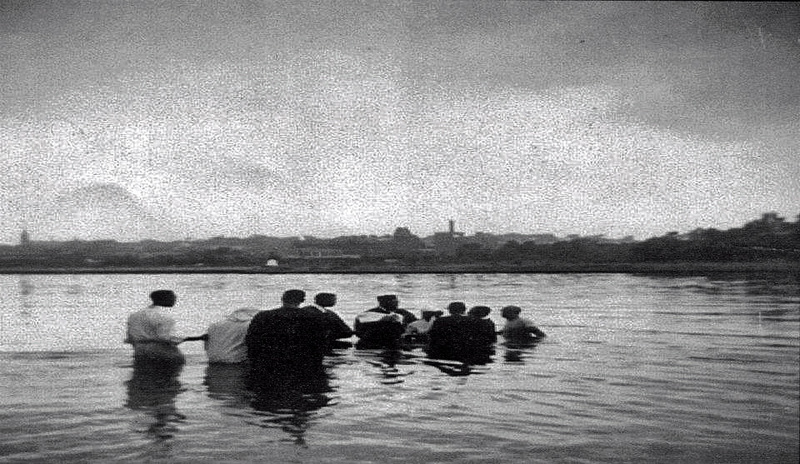 On Sunday June 7, 1931, Elder Parson baptized a group of 20 converts on the banks of the Hudson before a crowd of 200 congregants. With the words, “Brother (or Sister), I take pleasure in baptizing you,” the pastor and Deacon Jim Wilbur performed the rite, fully submerging each white-gowned candidate. The newly baptized souls re-emerged to Hallelujahs and the chorus of My Soul Got Another Dip. Two years later in 1933, the congregation moved out of a Westerlo St. storefront into 79 Hamilton St. (fondly remembered as “Old 79”). For the first time, church members owned and worshiped in a sanctified structure. Two doors down from Old 79, 1964. 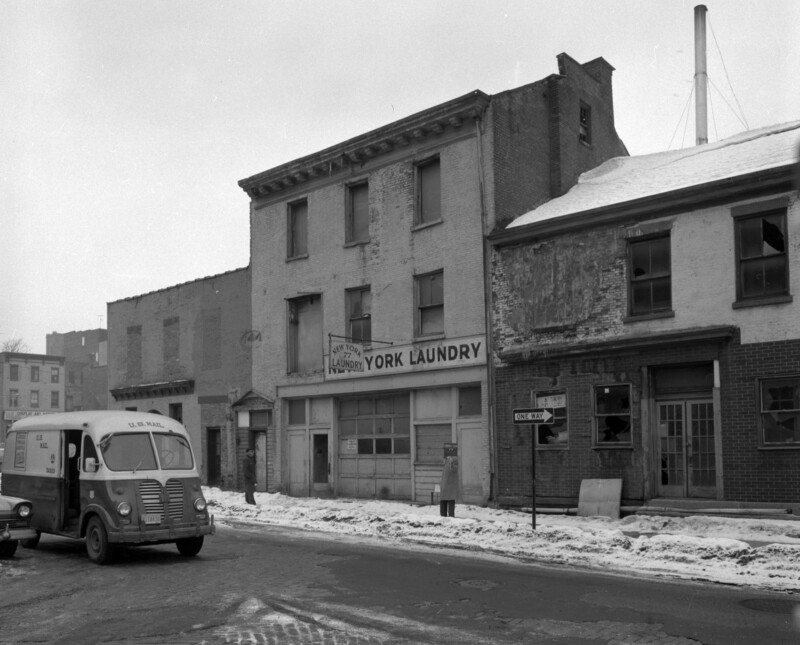 Two years earlier, 75 Hamilton St. was the address of the Albany Rescue Mission (formerly Port of Homeless Men). NYS Archives. 79 Hamilton hadn’t always been a church. Three years before its purchase by the congregation, the building was a bootlegger’s lair. The 71 Club, down the block, was a speakeasy. This was not an ideal location for a congregation pledged to abstain from the consumption of alcohol and tobacco. But it was close to where the church members lived, and it was what they could afford. Residential segregation and employment discrimination prevented them from buying elsewhere. The church grew strong during the Great Depression, despite economic and political challenges. In April 1934, Elder Parson was arrested, charged in Police Court with the novel crime of “bringing destitute persons into the community to become public charges.” Albany’s Commissioner of Public Welfare complained that 11 of the people who came to the city with Parson were now on the relief rolls, along with 2,300 other residents. We don’t know whether this dispute was ever settled. (One rejected resolution was for the pastor to take the migrants back to Mississippi.) After the hearing, Parson was released and the case continued. Perhaps this was just a warning. Elder Parson’s death in January 1940 was a major blow to the congregation. But his widow and assistant pastor took up his mantle. While William Wilborn oversaw expansion of the church, Frances Parson ensured that her husband’s vision for a rural community of congregants on the edge of Albany, the Rapp Road neighborhood, got off the ground and flourished. William and Frances married in the fall of 1941. Youth choir in 79 Hamilton St, ca 1950. Courtesy Wilborn Temple. Throughout the next three decades, the city’s population of Southern migrants continued to expand. 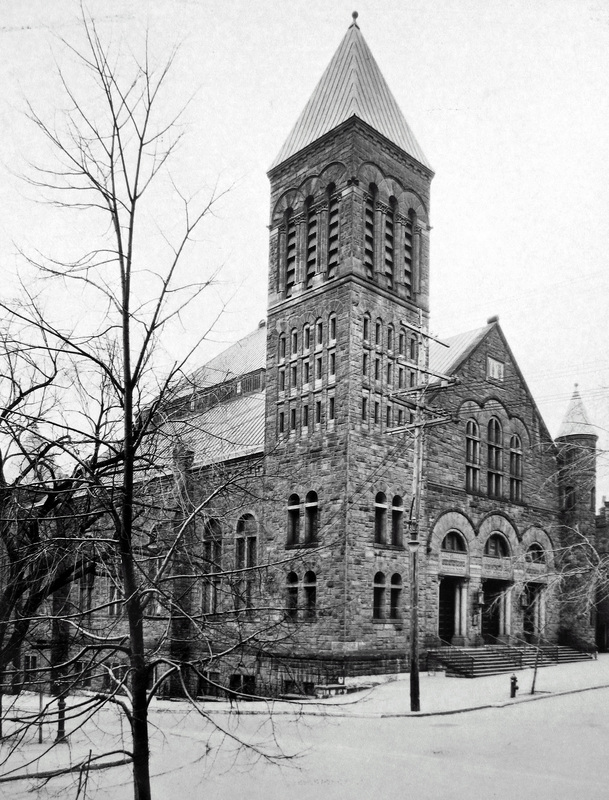 As before, the newcomers found spiritual guidance, along with practical assistance, in Albany’s First (as well as Second and Third) Church of God in Christ. The synagogue of Congregation Beth Emeth, corner Lancaster and S. Swan streets, ca. 1930s. The First Church of God in Christ purchased the structure in 1957. Albany Institute. 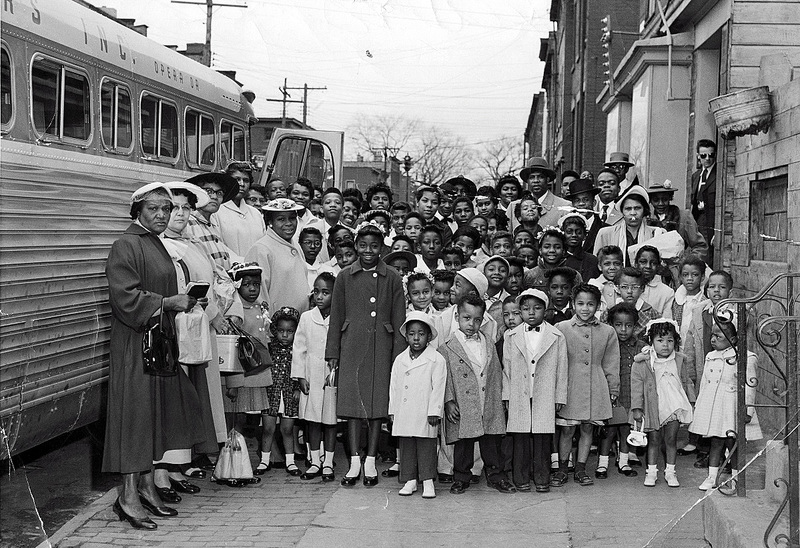 On September 8, 1957, Elder Wilborn led the congregation from 79 Hamilton St. up the hill to its current church on S. Swan St., between Lancaster and Jay streets. There the congregation continued to thrive. When Dr. Martin Luther King Jr. visited Albany in June 1961, he addressed a crowd of nearly 1,300 well-wishers in the recently renamed Wilborn Temple. A few months later, church leaders paid off and ceremonially burned the $30,000 mortgage. In March 1962, a new challenge arose, when the State seized the 98-acre South Mall site. The congregation learned that their church, just across the street from the redevelopment area, would remain standing. But the State would demolish Old 79 and displace many congregants from their homes. If you remember this period of the church’s history, we’d love to hear from you. We’re planning future posts on Wilborn Temple and the construction of the Empire State Plaza. In the meantime, enjoy Mississippi Day.